After initially announcing that his album was set to release on June 23rd, Bryson Tiller surprised fans last week when he released his sophomore album, True to Self a few weeks early. The Don’t Get To High singer returned today with another huge surprise/announcement – the Set It Off Tour. The Set It Off tour will hit 27 cities, making stops in Las Vegas, Seattle, Miami, New York and of course Chicago on September 15th at the Aragon Ballroom. The tour is scheduled to kick off in Atlanta on August 3rd. 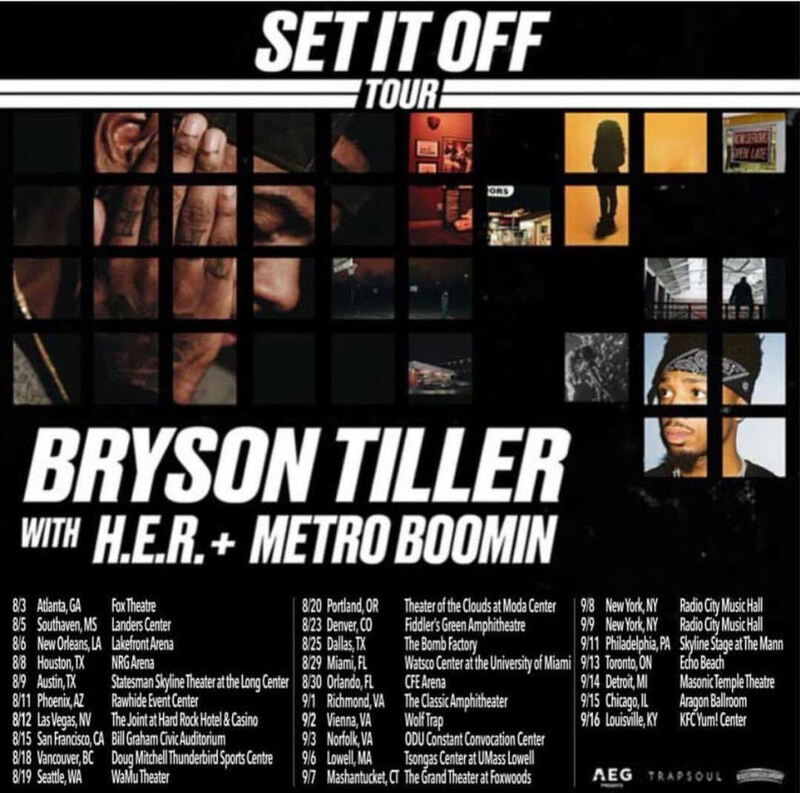 Joining Bryson Tiller on his second headlining tour will be Metro Boomin and H.E.R.